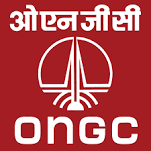 Oil and Natural Gas Corporation (ONGC) has published Advertisement for below mentioned Posts 2018. Other details like age limit, educational qualification, selection process, application fee and how to apply are given below. Original certificate with one set of photocopies of qualification, Birth, Registration certificate of council /Institute and experience if any, duly self-attested by the candidate. Registration Time: 9.30 a.m. to 11.00 a.m.